I started with this recipe from Whole Foods for Baked Apples Stuffed with Cranberries and Almonds. 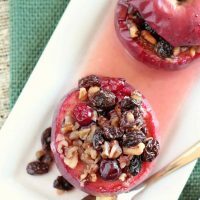 Dessert, breakfast, afternoon snack– these baked apples will go a long way at your house and you can feel good about eating this healthy treat. 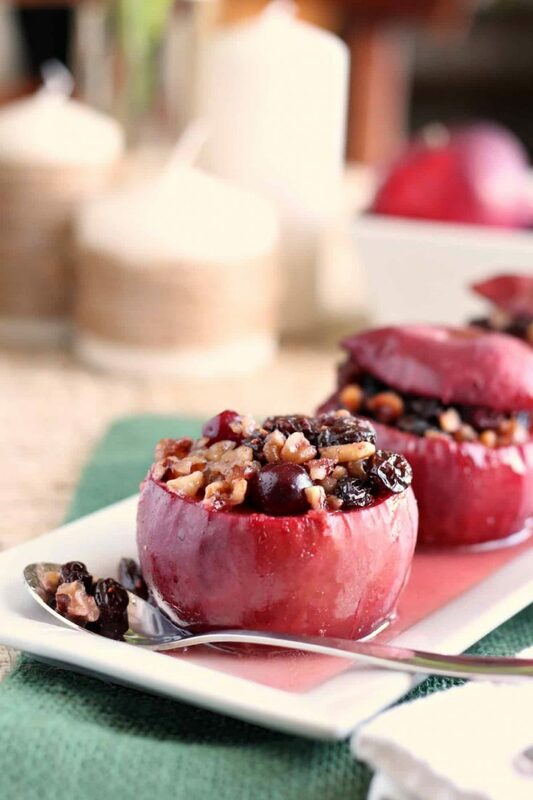 Baked apples are a healthy dessert. It's easy to double the recipe and bake for a crowd. Make filling: melt butter in a small saucepan. Add cranberries, honey, raisins, orange juice. Stir while heating gently for 3-4 minutes over medium heat. Add the spices and walnuts. Remove from heat and set aside. Next prepare the apples. Cut about 1/2 inch slice off the top. Use a small melon-baller to hollow out the apple. 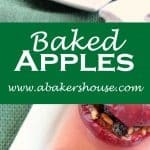 Do not cut too much away or the sides of your apple will collapse as it bakes. You'll need to fit about two tablespoons of filling in each apple; it is fine if some spills out on top. Carefully fill the hollowed out apples with the filling. Pour any excess liquid over top of the open apples then cover with the apple tops and place in an 8 x 8 baking pan. Fill the pan with about 1/2 - 1 cup of water in the bottom and cover tightly with foil. Bake for 20 minutes tightly covered then for 20 minutes with the aluminum foil removed. Whole Foods would like to kindly offer one reader a $25 gift card so that you too can enjoy the bounty of autumn’s harvest at your local Whole Foods. Please enter the Rafflecopter below for your chance to win. Giveaway has ended. This post is sponsored by Whole Foods. 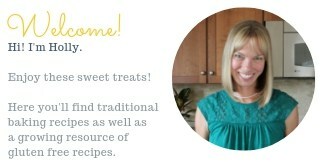 I participate in the Whole Foods Brand Ambassador program. All opinions are my own. Products from Whole Foods were provided to me free of charge but no monetary compensation was given. It has been years since I’ve had baked apples. Love the ingredients in this recipe. Pinned. Apples remind me of home. The place I am from is the largest exporter of apples in India. I remember eating them off the trees as a kid and when we had too many stored in the house and we got tired of eating apples we would play ball with them. such luxuries are rare now. Love your baked apples. Great flavors. Thanks, Veronica, I believe it is just a program here in Colorado that I participate in locally. Thanks for stopping by!